I love chamber music. There is nothing more relaxing that gives the "being in the moment" feeling. 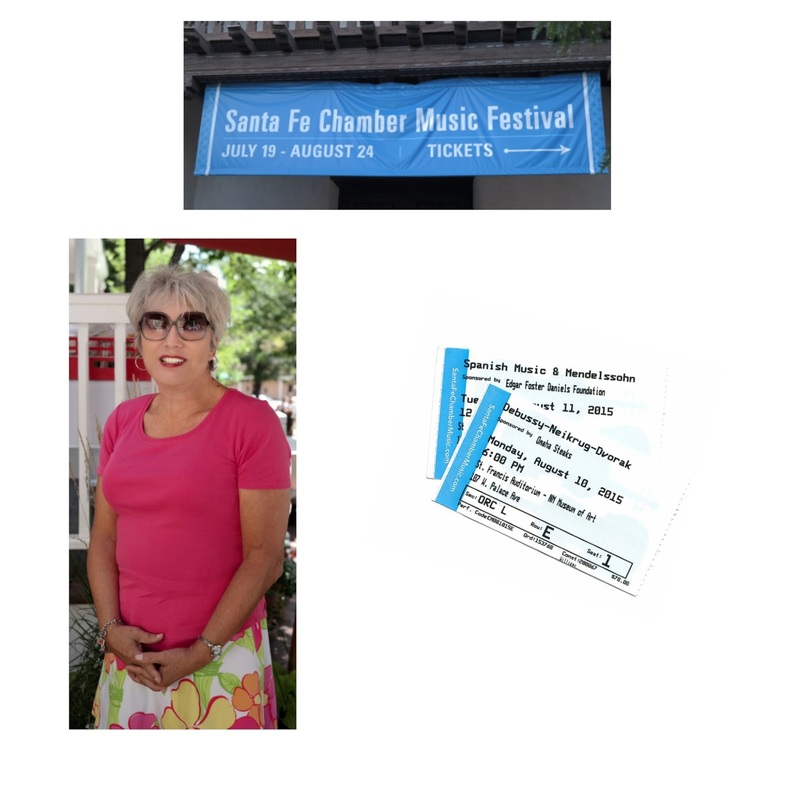 I chose Santa Fe because I had never been there and had an airline ticket voucher that was expiring. 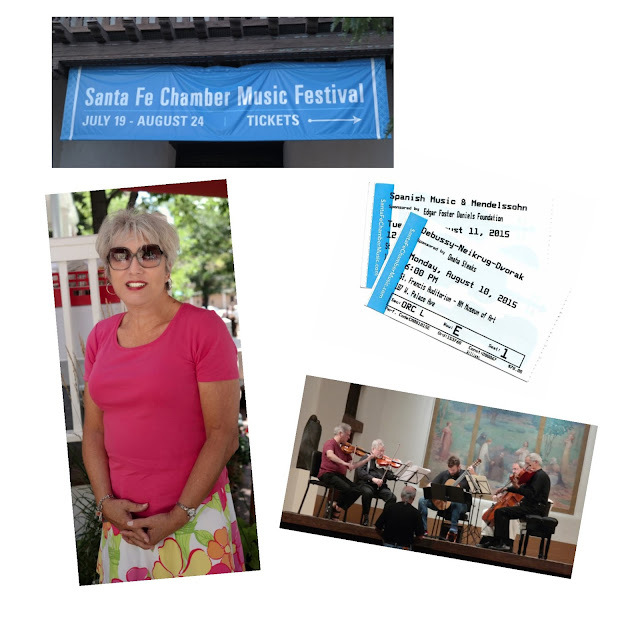 I did not plan on landing right in the middle of the Santa Fe Chamber Music Festival. What an unexpected treat. A few tickets were available the day of concert and I waited in line. So worth it! The morning after I purchased my first ticket open rehearsals were going on, so I got to hear a preview and take very discreet photos. That evening of my first concert and the next day concert were sold out so I was fortunate to get the good seat that I did. What lovely music. The outfit for the Monday daytime concert was a very Florida - Lilly Pulitzer skirt and t-shirt with high heel sandals.